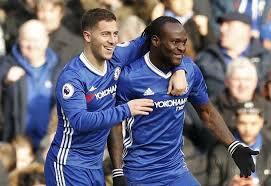 Moses, Hazard out of Chelsea–PAOK clash over injury – Royal Times of Nigeria. Nigerian winger Victor Moses will play no part in Chelsea’s UEFA Europa League clash against PAOK Salonica at Stamford Bridge due to a back problem, Chelsea manager Maurizio Sarri has revealed. Chelsea are already through to the last thirty-two of the competition, but one point in their last two matches will secure the top spot of Group L and will guarantee the Blues a better seeding for the First Round of knockout stages. In the reverse fixture, Thessaloniki, Willian scored for The Blues to hand the Blues a one-nil victory over Paok Salonica. Moses, who has made two appearances in the competition, last featured for The Blues in their one-one draw at home to Liverpool in October. The 27-year-old has failed to make Chelsea’s last ten matchday squads. 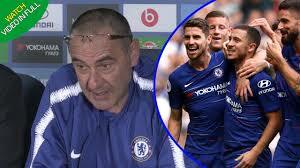 Sarri also ruled out Eden Hazard from the Chelsea’s Europa League match at the Bridge, but he hopes to have the Belgian back for the visit from neighbours, Fulham on Sunday. Super Eagles players arrive Uyo for Cameroon clash.